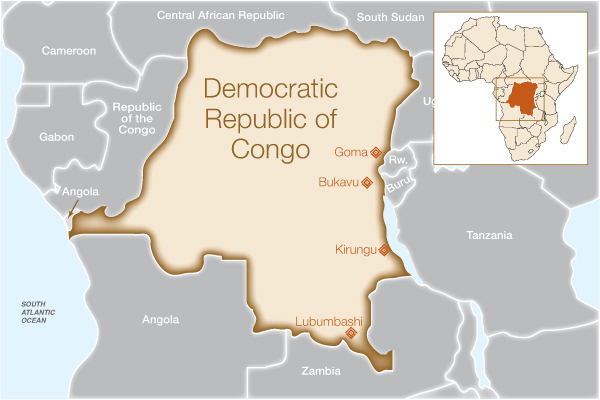 Why Do We Work in Democratic Republic of Congo? 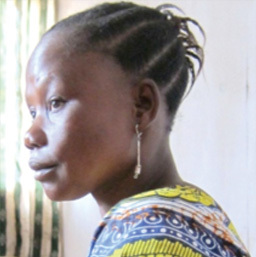 The Democratic Republic of Congo (DRC) has been referred to as “the worst place in the world to be a woman.” The reasons for this chilling reputation are many: Although the country is rich in natural resources, decades of instability and violence have left the majority of the population in poverty; the fertility rate is among the highest in the world as are its maternal and infant mortality rates; access to quality healthcare is often limited, particularly in rural areas; and most troubling, the unprecedented use of sexual violence throughout the country. All of these issues have a particularly devastating impact on women and are correlated to the many cases of fistula found in DRC. How will this help women in DRC? Determined to confront the overwhelming injuries of his home country’s population, Dr. Denis Mukwege founded Panzi Hospital in Bukavu in 1999. 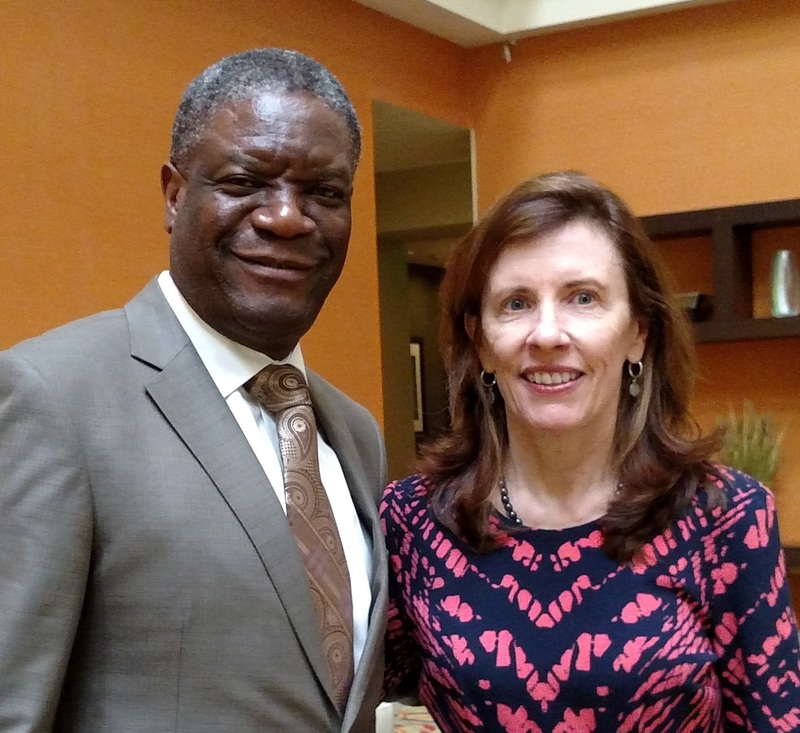 Dr. Mukwege was inspired to pursue a medical specialization in gynecology and obstetrics after witnessing the insufficient medical care that women in his country were receiving, and his decision to found Panzi Hospital is a further testament to his commitment to the women of DRC. The 400-bed hospital is renowned for its services to internally displaced persons (IDPs) and survivors of sexual violence, including a large project aimed specifically at fistula. Since the hospital’s inception in 1999, over 4,400 women suffering from fistula have received free surgery and medical care. Since Fistula Foundation began funding the hospital’s fistula program in 2009, at least ten additional doctors have been trained in complex surgery procedures and nurses and anesthesiologists on staff have been trained in fistula care. Transportation, meals, lodging and reintegration support are provided to patients, and community outreach is conducted regularly in order to identify new patients and raise awareness of fistula in communities. HEAL Africa has been performing fistula repairs since 2003. Their main facility is in the large town of Goma in eastern DRC, but much of their recent work has focused on surrounding rural areas in the region. This includes sending outreach teams into rural areas to raise awareness, identify new patients in need of treatment, and facilitate their transport to Goma. In some cases, mobile surgical teams are dispatched to community medical centers in an effort to make care more accessible to rural populations. These mobile surgical teams also train local surgeons in safe delivery procedures, Caesarean sections, and emergency obstetric care. In addition to providing free fistula surgeries and pre- and postoperative care, HEAL Africa teaches women how to sew, read, write, and weave through HEALing Arts, a skill-building program for women who are awaiting or recovering from fistula surgery. 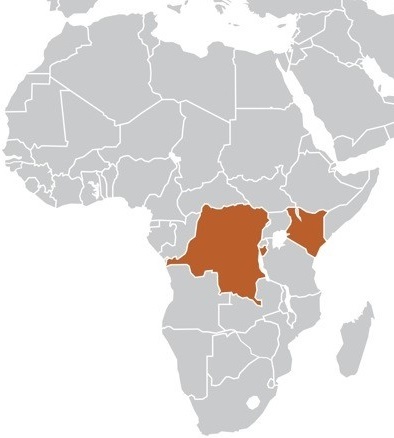 Our partner Women and Health Alliance International (WAHA) recently shifted their treatment efforts from neighboring Burundi to DRC, where they are focusing on reaching patients in rural areas. Conducting patient outreach in the areas of Moba (located south of Bukavu in the eastern region of the country bordering Lake Kivu) and Lubumbashi (located in the south), WAHA performs fistula surgeries at two treatment sites, Kirungu and Beniker hospitals. Over the course of this current project, their goal is to provide surgery to 125 women. In addition to funding surgeries, support from Fistula Foundation is also helping provide patient outreach and transportation, on-the-job training for local health staff, and psychological counseling to help patients reintegrate into their communities following treatment. Where is Democratic Republic of Congo?